In my inbox today I was greeted by the news that Republican Congressman Gary Miller had not only joined Facebook, but would also be keeping us up to date via twitter, as well. The representative already has 39 followers at the time of this post. A sampling of some accounts he follows includes House Minority Leader John Boehner, Politico, CNN, Drudge Report, Fox News, other house representatives, and San Bernardino Sun reporter James Koren (@jrkoren). You can check out both of Miller’s new accounts at www.facebook.com/RepGaryMiller or www.twitter.com/RepGaryMiller. For more on Social Media Day, check out this The Awl post. I laughed and then I was kind of sad, and then I watched videos about kittens and all was forgotten. How much does patriotism…er…fireworks cost? Working on a story about how the economy has affected cities’ ability to produce fireworks and Fourth of July celebration events. 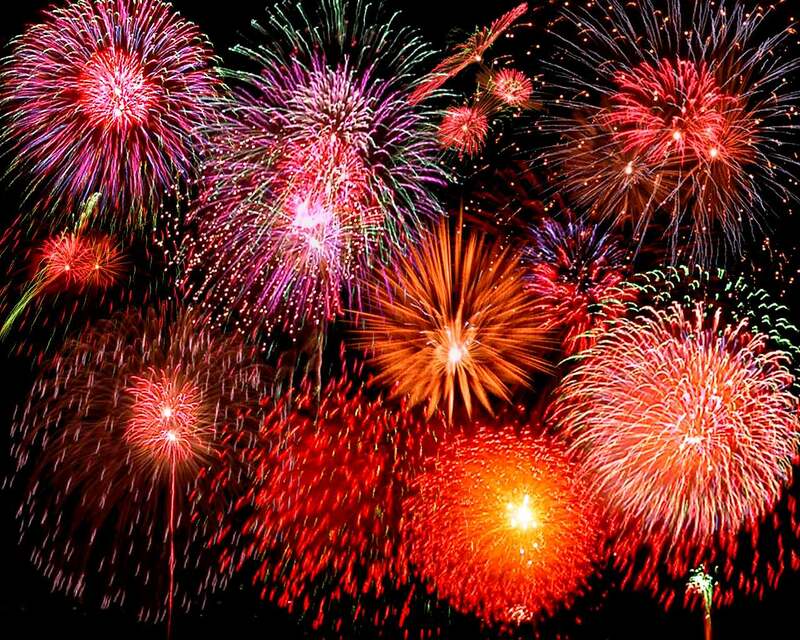 In the process, I spoke with the president of fireworks company Pyro Spectacular, Jim Souza. Jim said the average fireworks show starts at about $25,000 and goes up from there. At a place like the Rose Bowl’s Americafest in Pasadena, the cost can be as much as $200,000, Souza said. Pyro Spectacular does the fireworks for shows in Monterey Park, Whittier, Irwindale, Pomona, South Pasadena, Monrovia, and San Marino, among others, Souza said. The average show has a 24 foot rent-a-truck full of a ton of hardware, several hundred pounds of fireworks, has mortars, launching equipment, and a crew of 8 to 12 people that work on one show all day. Each show lasts about 20 minutes, with the exception of the larger shows, he said. As for some cities, Pico Rivera is spending $25,000 on fireworks and Monterey Park is spending about $35,000 for weekend events. More to come in tomorrow’s story. I know it doesn’t seem like anything else matters after the U.S. lost its FIFA World Cup match against new soccer (futbol for those speaking the Queen’s English) nemesis Ghana, but there was some news over the weekend, believe it or not. Reporter James Wagner and I combined to become something of a super group with this piece on crime in the Valinda corridor. The Glendora City Council had a special meeting last week where they decided to lay off five city employees and combine two engineering departments. An attorney for the employee’s association is not pleased. In the future, if you want to walk to the Azusa City Council dais and speak to your favorite councilman (for handshakes, serving petitions, autographs or general public scolding) you may have to practice your limbo skills … or just ask for assistance. 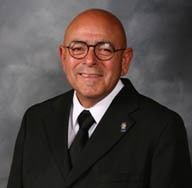 One thing that Mayor Rocha questioned at Monday’s council meeting – and garnered a couple laughs from the audience – was a provision in the 2010/2011 budget that called for some updates to the City Council chambers. The $31,000 allocation included, among other things, a kind of barrier or rope line between the audience and the council. The line would probably consist of the same thing you see at banks or movie theaters used to organize lines, but in this case would be used to keep people away from the dais, unless allowed, City Manager Fran Delach said. 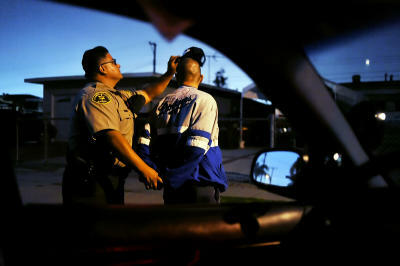 It was recommended by Azusa Police Chief Robert Garcia. While Delach said other venues use such things, giving the example of the Los Angeles County Supervisors hearing room, other council chambers like Glendora, Duarte, La Verne, El Monte, Rosemead, and South El Monte don’t have barriers. Some cities, like Walnut, do have something that separates the audience and council members. Delach was clear in saying it wasn’t something meant to decrease transparency or public access and whatever was put in would be removable. Besides the rope line, the $31,000 includes updating computer monitors for council members at the Dais, among other improvements, Delach said. What do you think? Is this a wise use of city funds in the name of safety and modernization? Environmental groups are revealing the opponents’ apparent playbook. Concerned that another group may be seeking relief from state environmental laws, the environmental lobby is circulating a letter this week urging legislators not to support an exemption for a potential stadium in downtown Los Angeles. Tim Leiweke, CEO and president of AEG, which operates the Staples Center, announced in April, along with prominent sports agent Casey Wasserman, their hopes of building an NFL stadium in downtown L.A.
Tina Andolina, the legislative director for the Planning and Conservation League, said her group has been told and heard that AEG was seeking an exemption from the California Environmental Quality Act. She said the company was citing an exemption granted to local billionaire Ed Roski last year as precedent. Last year, the state legislature approved an environmental exemption for Roski’s $800-million stadium in Industry. The bill, signed by the governor in October, nixed a lawsuit against the project, which had already completed an environmental impact report. It’s unclear whether any legislator was willing to author the exemption bill. But Andolina said she believes it’s a real possibility. A message for an AEG spokesman wasn’t returned. Note: For more coverage on the prospect of the NFL in L.A., check here. It was a quick comment, maybe one said in the moment, but there were some whispers and shaking heads on Monday night after one of Uriel Macias comments on the budget. The city was about to vote on their budget and Macias was commending city staff in explaining how Azusa was in good shape. Well……while the city isn’t laying anybody off, the Azusa Unified School Board sure has. In May, 22 teachers lost their jobs. In fact, in this instance, it was those other cities that were able to hold onto teachers: Baldwin Park Unified, Hacienda La Puente Unified, El Monte Union, Covina-Valley Unified, El Monte City, Glendora Unified and Charter Oak Unified school districts all avoided layoffs.